Adding Hifi international to Doccle. Log in and click on Doccle Connect. 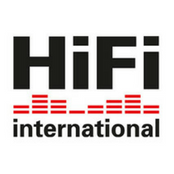 Adding Hifi international to Doccle. Log in and click on Doccle Connect. Receive and store your payslips and other personal HR-documents from Hifi international on Doccle. How to add Hifi international? You received this invitation at your e-mail address you have given to Hifi international. If you didn’t receive this e-mail, please contact your HR department. You do not have to enter any Doccle codes. Open the e-mail that you received from Hifi international, click on “Doccle Connect” and log in.